My wife and I both have a bit of a sweet tooth. 30 minutes to an hour after dinner, you’ll find us scrounging for something with sugar in it. It’d be easy enough to make a tray of brownies but I’d probably just eat the whole tray. I have no self control. Heh. 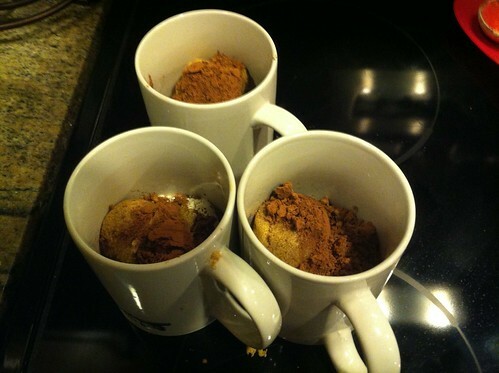 A few months ago, my wife introduced me to the wonders of the mug brownie. 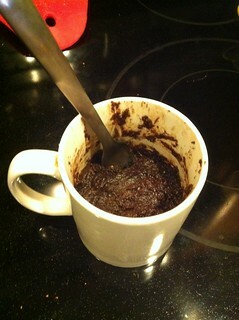 You mix all the ingredients for the brownie in a mug, stick it in the microwave, and a minute later you have a hot & delicious brownie. It’s sooooo easy. Gentlemen, does your lady love chocolate anything but feel inept when it comes to baking anything? 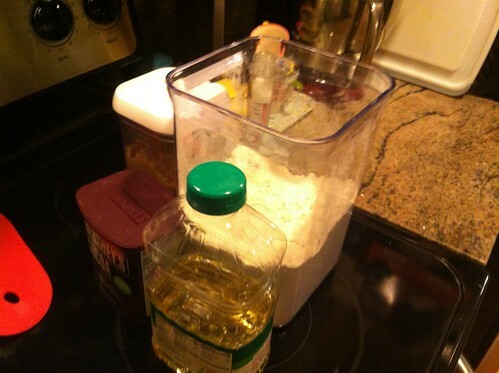 Try the recipe I’ve been following that over on Babble. Next Next post: Feel like a lemming.